Salty and sweet, together again. Every Thanksgiving meal has a sweet potato dish, right? It’s pretty much a requirement. 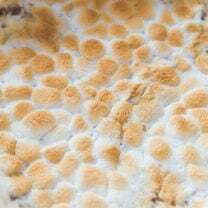 Sweet potato casserole with marshmallows is a classic one, of course. And then there’s glazed sweet potatoes and mashed sweet potatoes…and of course, plain ol’ baked sweet potatoes, which are great all by themselves with a bit of butter and salt. This brings out that mixture of salty and sweet that makes such a great pairing in my Salted Caramel Smoothie and my Bacon-Wrapped Cinnamon Rolls. Well, now, it’s time take that salty-sweet magic to the next level. 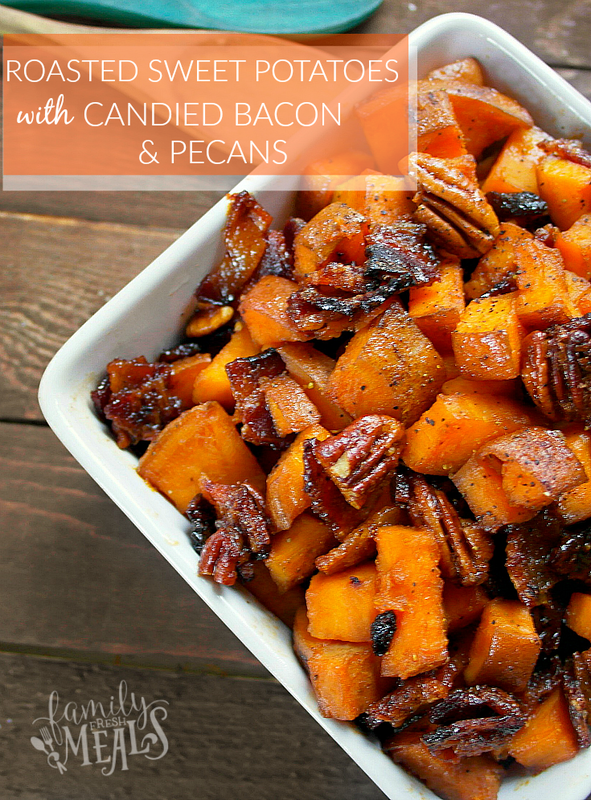 My new sweet potato dish, just in time for Thanksgiving, brings that sweet and salty mix to the fore with…wait for it…candied bacon. So you’ve got the basic sweet, soft flesh of the sweet potato…made even softer and sweeter with butter, brown sugar, cinnamon, and raisins…and then BOOM! That salty-sweet combo of candied bacon and pecans adds a flavor punch and crunch that just knocks it into a whole new dimension. The other great thing about this dish is that you can do most of the work ahead of time, which is great when you’re trying to juggle fifteen different things for a Thanksgiving dinner. You can par-boil the potatoes and candy the bacon the day before, and then all you have to do is put it all together and bake it for 20 minutes right before dinner. Set it on your table piping hot, and you’ve got a spectacular side dish that could easily outshine the bird itself. 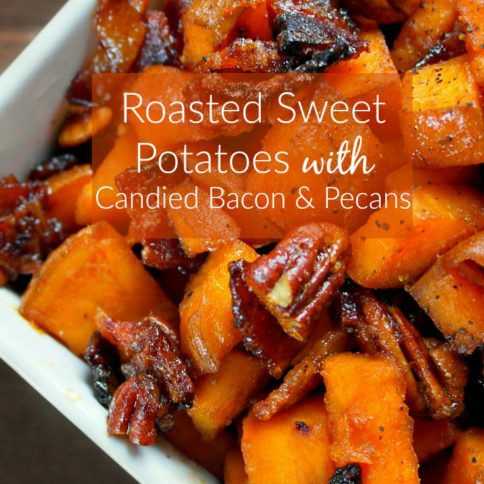 Roasted Roasted Sweet Potatoes with Candied Bacon & Pecans…a great dish for Thanksgiving, or any time you feel like making some salty-sweet magic. 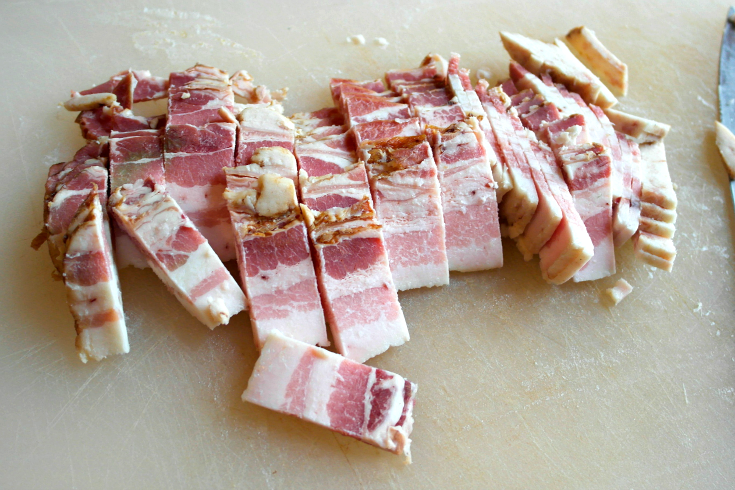 To candy the bacon, preheat the oven to 375° F. Cut the bacon into 1-2″ pieces, place in a small bowl. 2. Melt the butter, use a microwave safe dish for 20 seconds. Pour the butter, brown sugar, pecans, salt & pepper over the bacon and mix well. 4. Spread out onto a sheet pan and bake for 15 minutes or until bacon starts to crisp. Use a spatula to remove and spread out onto parchment paper. Set aside. 5. Dice the potato into 2 inch chunks, boil until just slightly fork tender. Drain all water and set aside. 6. In a microwave safe dish (I used a glass measuring cup) , add the butter and brown sugar. Heat for 20 seconds in the microwave, or until butter is completely melted. Pour over the sweet potatoes , add the raisins, cinnamon, salt & pepper and half of the candied bacon/pecan mixture. Stir until combined. 7. Transfer to a baking dish and top with remaining candied bacon & pecans. Bake for 20 minutes on 350. 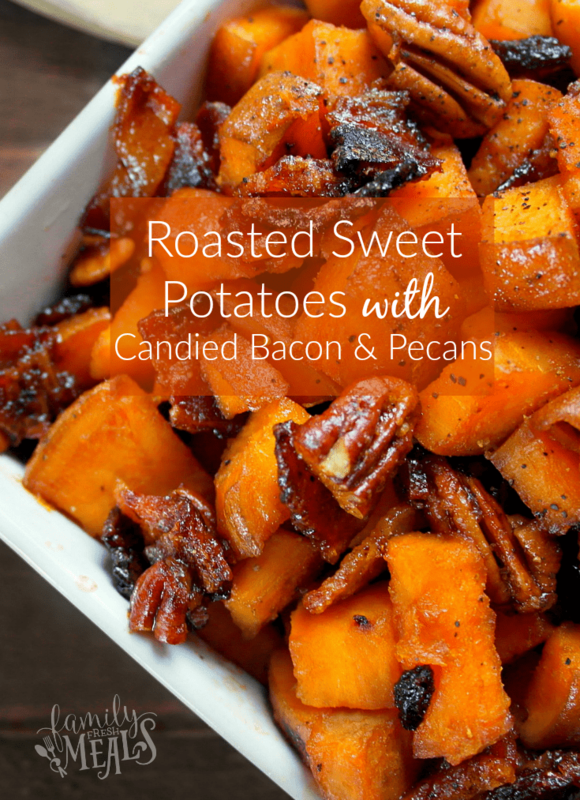 My Roasted Sweet Potatoes with Candied Bacon brings a salty-sweet combo of candied bacon and pecans adds a flavor punch that will be loved by all! 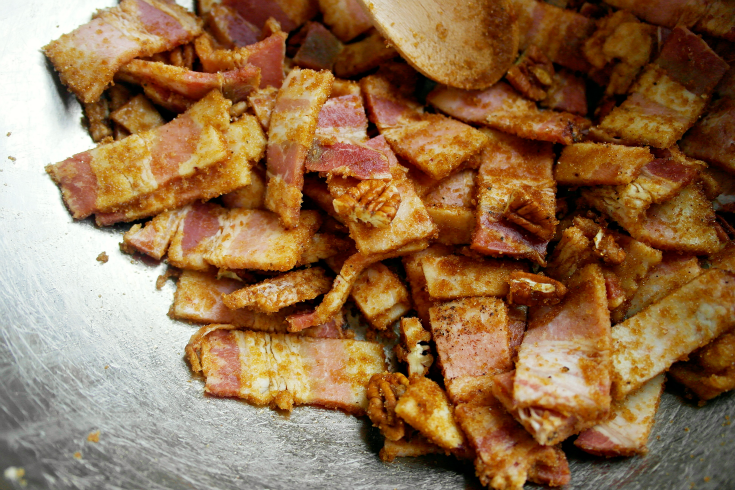 To candy the bacon, preheat the oven to 375° F. Cut the bacon into 1-2" pieces, place in a small bowl. Melt the butter, use a microwave safe dish for 20 seconds. Pour the butter, brown sugar, pecans, salt & pepper over the bacon and mix well. 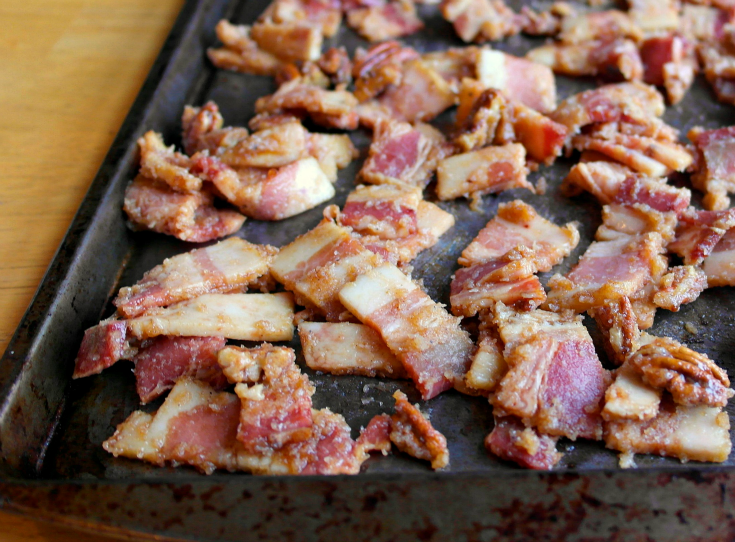 Spread out onto a sheet pan and bake for 15 minutes or until bacon starts to crisp. Use a spatula to remove and spread out onto parchment paper. Set aside. Dice the potato into 2 inch chunks, boil until just slightly fork tender. Drain all water and set aside. In a microwave safe dish (I used a glass measuring cup) , add the butter and brown sugar. Heat for 20 seconds in the microwave, or until butter is completely melted. Pour over the sweet potatoes , add the raisins, cinnamon, salt & pepper and half of the candied bacon/pecan mixture. Stir until combined. Transfer to a baking dish and top with remaining candied bacon & pecans. Bake for 20 minutes on 350. When preparing the candied bacon and pecans — when do you add in the pecans? I don’t see any mention of them in the instructions. I am planning on making them for Thanksgiving. Thanks! What about the pecans listed in the ingredient list with the sweet potatoes? Can I boil the potatoes the night before? 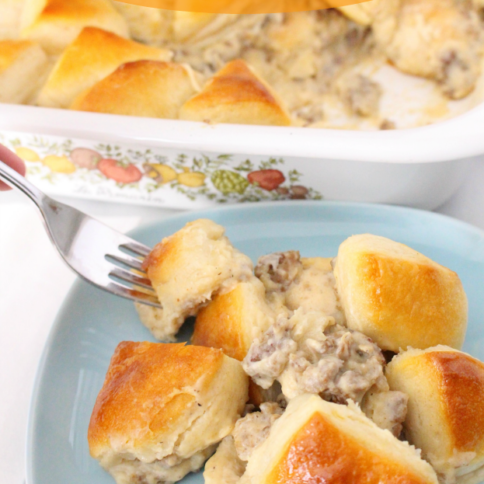 I’m so excited to make this for Thanksgiving it sounds amazing! Amanda… How did turn out for you Thanksgiving dish? 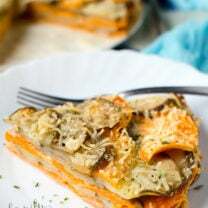 I’m looking for a Sweet Potato Dish for Christmas and this looks yummy. 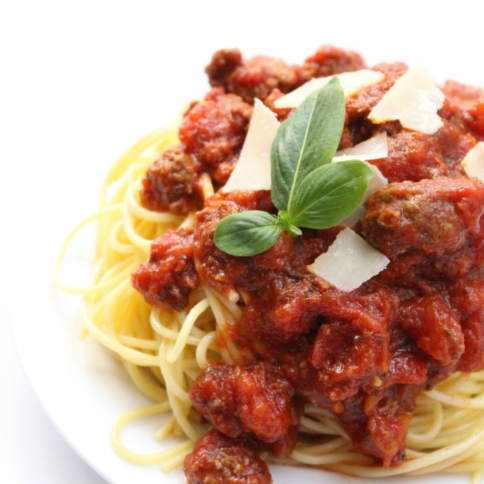 I made this last year and it was AMAZING!! Everyone loved it. I’m allergic to cinnamon so I left that out but both of my girls(13&11) are asking for it again this year. Do you use thick-slice bacon or the regular slice? Could I mix cubed butternut squash in with it, along with the sweet potatoes? I guess the bacon would be a preference thing. I have never mixed in butternut squash, but that does sound like a yummy idea! 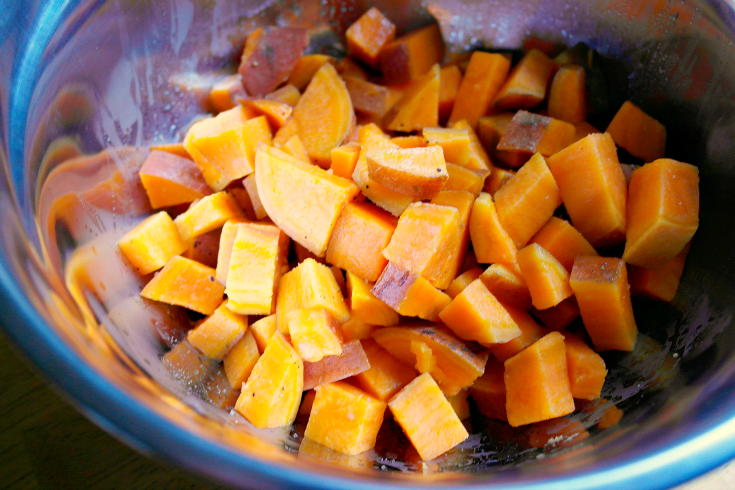 Do you peel your sweet potatoes? 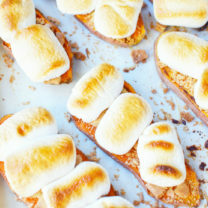 I am so going to make these for Thanksgiving this year. They look and sound awesome. Sweet potatoes vary so much in size; could you give me an amount in cups perhaps. I am concerned that the pecans would burn if cooked for 15 minutes with the bacon. Should the pecans be candied and cooked separately?